Our honey is extracted from our hives here at Lost Acre Farm. We do not use heat so the honey is in its natural state just as in the hive and retains all of the beneficial enzymes which can be destroyed by heat. Silk™ honey is our creamed honey, spun with tiny honey crystals that slowly grow in a natural process to produce a creamy spreadable honey, delicious spread on toast or eaten right out of the jar with a spoon. Available in 9 oz. glass honeypots . 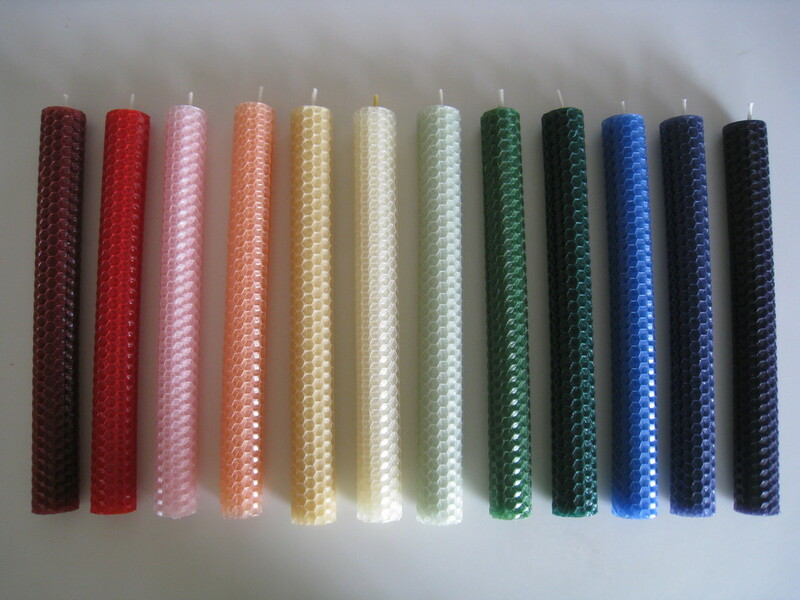 14 colors from Ivory to Ebony and all of the colors of the rainbow plus natural. Firefly™ Spiced Nuts - Spiced glazed baked almonds & pecans. Made with our secret blend of spices plus a hint of hot pepper and coarse sea salt. Available in snack size or 8 oz. bags. Excellent right out of the bag or try them sprinkled on salads or ice cream. Made here with Lost Acre Farm ingredients. 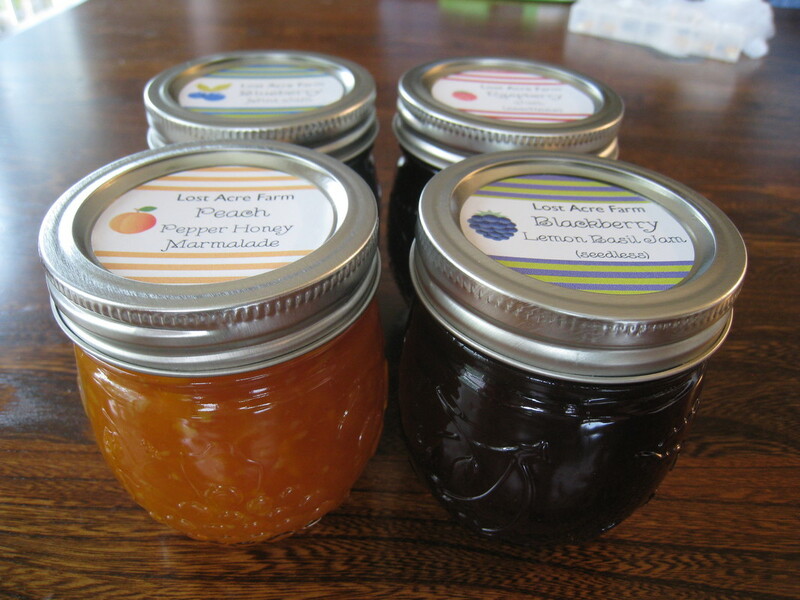 We use the slow long cook method, no pectin, so the jams have an intense fruit flavor; nothing like store-bought jams. It takes nearly a pound of fruit to make an 8 oz. jar. LIMBO™ jam -blackberry jam with Trinidad Scorpion pepper. Our mini Blue Crabs soaps look so realistic! Specialty soaps - not painted, each color is a separate soap applied by hand. Felted soap bars - each one is unique! 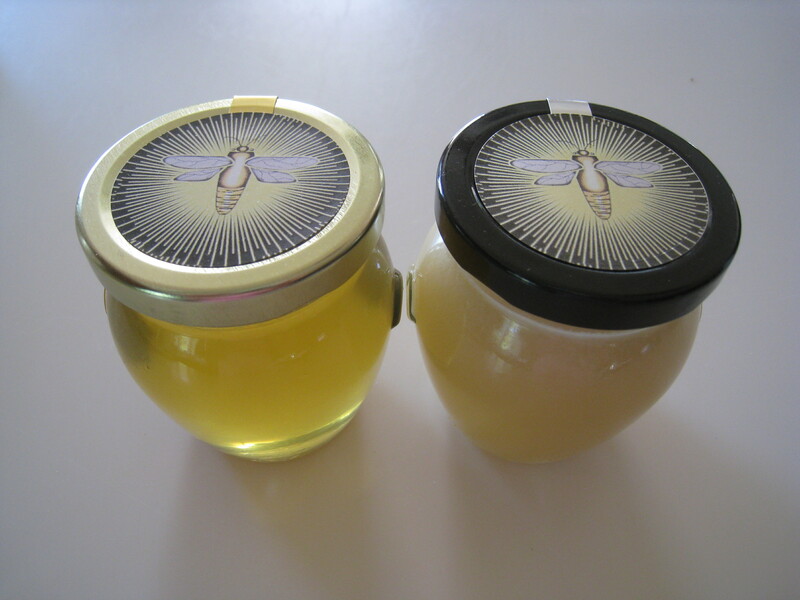 Lip Balm - made with beeswax, skin-soothing oils and shea butter. Many flavors including Tropical Fruit, Mintmary (Spearmint/Rosemary), Cocoa-Mint, Juniper Spice, BlueBerries (blueberry/acai), Pomegranate, Lavender with Vitamin E, Grape, Chocolate Truffle, Wintergreen and Natural. Our Teaberry lip balm will remind you of the old-fashioned Clark's Teaberry gum. 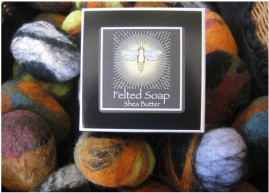 Felted soaps - handmade soap covered with alpaca and/or sheep wool. Use like regular soap, wool coating shrinks as soap is used. Perfect by the kitchen sink. Also great for removing dried paint and grease from your hands. Custom decorated nut cones. Choose style and colors to match your event. 4.5 oz. glass honeypots are the perfect size for favors for your event, large or small (weddings, showers, birthdays, anniversaries). Custom labels and ribbon colors available. 4 oz. cones filled with spiced nuts and decorated with custom labels, inner wrap and ribbons. Our guest sized soaps -wrapped leaf, wildflower, heart and bee theme soaps are perfect for nature-themed weddings. Custom labels and gift boxes available. Contact us for pricing, details and sample label ideas. 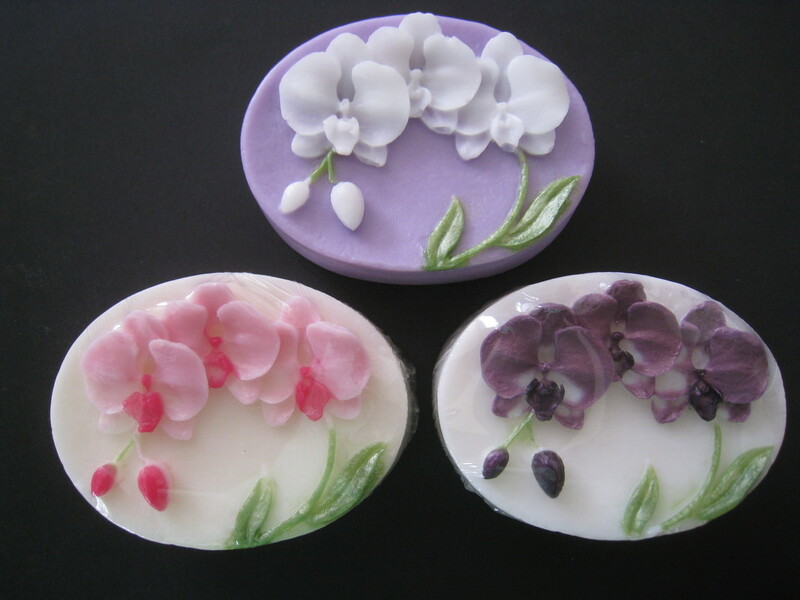 Orchid soaps. Colors can be customized. Daisy/Wildflower Soaps. Many options for colors.